The quest for thinner and lighter laptops has given us some impossibly slim computers for working on the go. Gone are the days when you needed a second device to hit the road. Our ZenBook 3 Deluxe weighs in at less than 2.5 lbs, while the versatile ZenBook Flip S squeezes a tablet and laptop into a chassis smaller than most ultrabooks. Both are compact enough to throw in a backpack, briefcase, or purse, but they offer enough power to act as a daily driver for the majority of people. 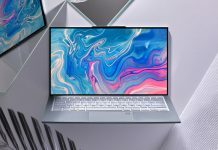 However, users who require serious performance, the kind you get with discrete graphics and a desktop-class CPU, still don’t have a lot of options in the ultrabook aisle. 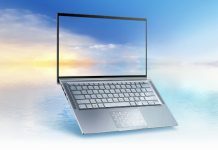 Finding a laptop that’s powerful enough for work and play while still being light enough to toss in your bag usually requires compromising on performance, portability, or style. Very few ultrabooks are powerful enough for complex video editing, 3D rendering, and gaming, and most performance laptops with discrete GPUs are bulky, heavy, or built with conspicuous designs that are too bold for work or school. 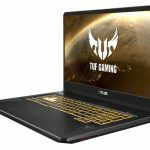 The ZenBook Pro UX550 bucks that trend: it features a quad-core Core i7-7700HQ processor and a GeForce GTX 1050 Ti GPU that are perfect for content creation and gaming on the go, but it squeezes them into a package that’s portable and professional. At first glance, the UX550 doesn’t look that different from any other laptop you’d spy in an office or airport lounge. Wrapped in brushed aluminum, its DNA is distinctly ZenBook, from the concentric circles on the lid to the diamond-cut chamfered edges that sparkle when they catch the light. Unlike its blue-and-gold brethren, the ZenBook Pro is an understated matte black. The accents on the edges are a shiny silver that match the ASUS logo on the lid. Backlit when the laptop is open, the logo is also reflective, so it still shines when the laptop is powered off. Measuring in at 18 mm thick, the ZenBook Pro is well under Intel’s requirements for even smaller 13″ ultrabooks, and tapered edges make the chassis look even slimmer. Next to the ZenBook 3 Deluxe and the diminutive ZenBook Flip S, you’d never guess that the the Pro’s internals rival that of a gaming laptop. The larger 15.6” form factor adds some weight, but it still comes in at less than 4 lbs, which means it’s light enough to stick in your hand luggage or cart to a cafe when you need a change of scenery. The ZenBook Pro’s polished finish is matched with powerful internals that breeze through heavy workloads without breaking a sweat. Intel’s Core i7-7700HQ has four cores and eight threads with a max Turbo clock speed of 3.8GHz. Together with 16GB of RAM, it makes light work of day-to-day multitasking as well as heavier workloads, like video encoding and compiling. 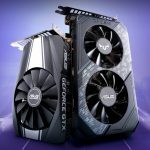 Your CPU does a lot of the heavy lifting when it comes to content creation, but Nvidia’s GTX 1050 Ti is on hand with a boost of GPU acceleration; the 1050 Ti takes some of the burden off the CPU to speed up rendering and help out with complex editing jobs featuring lots of effects. Narrow 7.3 mm bezels offer a near edge-to-edge display that maximizes screen real estate for a more expansive view. Minimizing the distracting black bars on either side keeps the laptop’s overall footprint to a compact 14.4″ x 9.9” despite the 15.6” panel. The Full HD display crams 141 pixels per inch, yielding a higher pixel density than your average 27″ or even 32” desktop monitor. Images are crisp and clear, and the panel covers 100% of the sRGB color gamut, so you can see every shade. Wide 178° viewing angles ensure the screen looks great if multiple people are crowded around watching a movie or collaborating on a project. 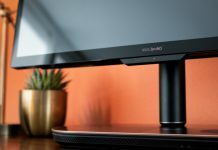 Support for dual 4K monitors is available via two Thunderbolt 3 ports if you’re working on really large images in Photoshop and need a higher-resolution display. 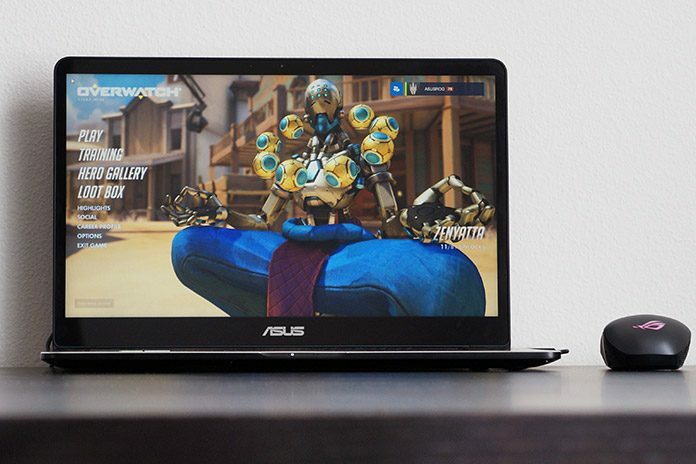 The ZenBook Pro might look like it’s all business, but you’ll find the very same GPU in our ROG Strix GL553 and GL753 gaming laptops, which means the ZenBook Pro is primed for playtime when you need a break or want to unwind. I tested a couple of my laptop gaming favorites, CS:GO and Rocket League, and both played seamlessly at the native resolution. That’s not surprising, given even the razor-thin ZenBook Flip S and its integrated Intel HD 620 graphics are also capable of serving up all the Rocket League a girl can ask for, but performance on the UX550 was buttery smooth, a noticeable improvement over the Flip. 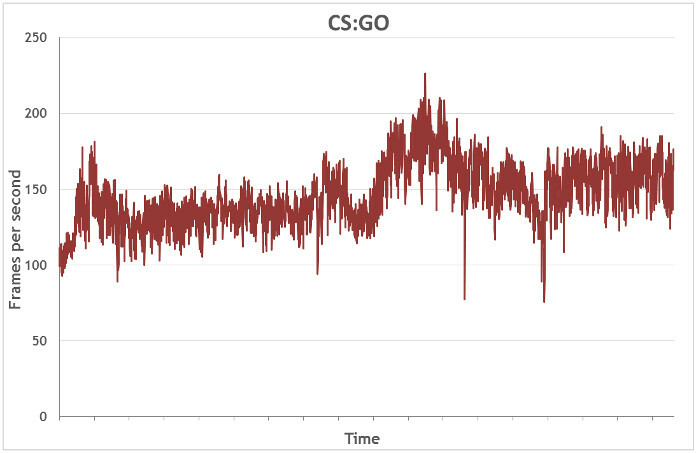 Frame rates in CS:GO were consistently above 120 FPS, dipping only slightly when there was a lot of action on screen. Rocket League and its gravity-defying gameplay are pretty unforgiving when it comes to reduced frame rates, but the ZenBook Pro’s 1050 Ti had no problems at all. 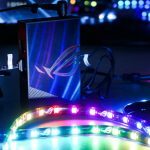 For the majority of ultrabook owners, being able to play games like CS:GO and Rocket League is all you can hope for. Stuffing the hardware necessary for more demanding titles into a super slim chassis is hard, and keeping everything cool is even more challenging. Our engineers rejigged the internal layout in order to accommodate a dual-fan system and two heat pipes. The pipes draw heat away from the CPU and GPU toward the fans, which push warm air out vents concealed in the hinge. This keeps the ZenBook Pro cool even when playing more demanding titles like Overwatch and Doom. I played a few games of both with the laptop resting on my legs, and its metal bottom never got uncomfortably warm. During testing, GTA V, Batman: Arkham Knight, Doom, and Overwatch all ran smoothly at the native resolution without issue. 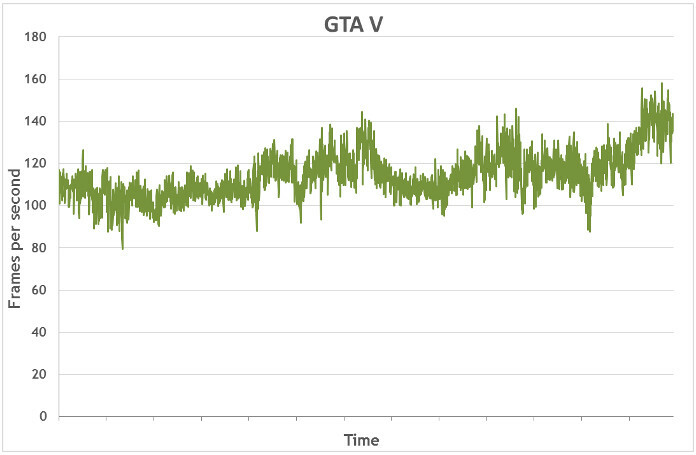 GTA V is not a new game, but it still requires discrete graphics to deliver playable performance. Its expansive world, complete with beautiful scenery, changing weather, and immersive first-person mode, are rendered beautifully on the UX550. Frame rates at 1080p with the settings on high consistently exceeded 100 FPS. I generally like to stay out of trouble (you don’t want to see me play GTA V, it’s very dull), but robbing banks does tend to land you on the wrong side of gunfights with the police, no matter how much you want to believe you’re just along for the ride. Even in the midst of a hail of gunfire, the ZenBook Pro only dipped below 90 FPS a few times. 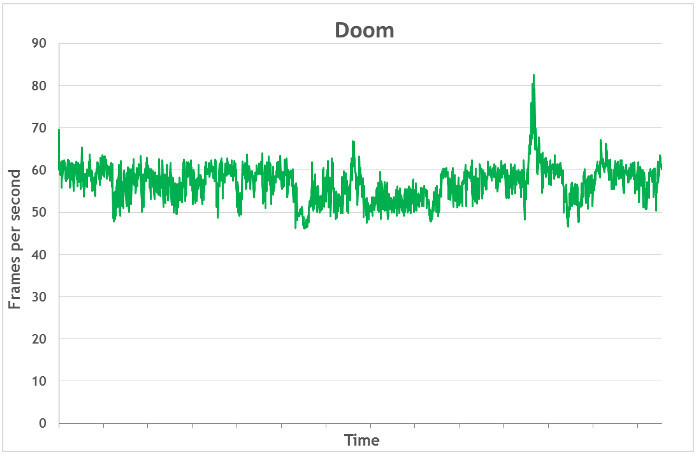 Doom’s performance with high settings was consistently around the 60-FPS mark, so I have only myself to blame for repeated poor showings against the demons. Every so often, it would dip below 60 FPS (and during a few really hairy moments, below 50 FPS), but it didn’t impact gameplay at all. 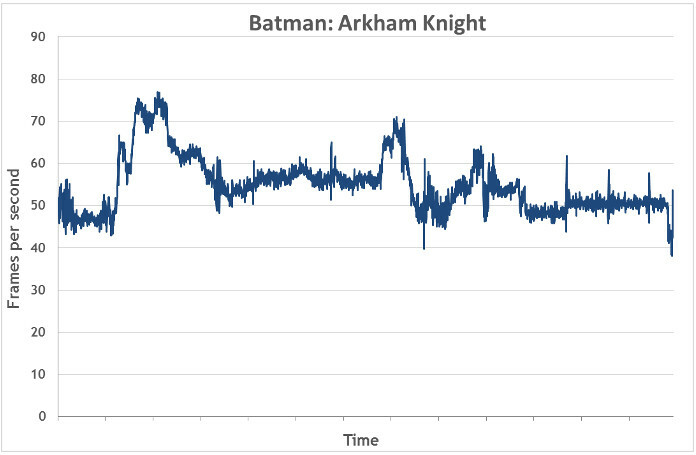 In fact, if the Fraps data hadn’t ratted them out, those moments would have slipped by unnoticed. 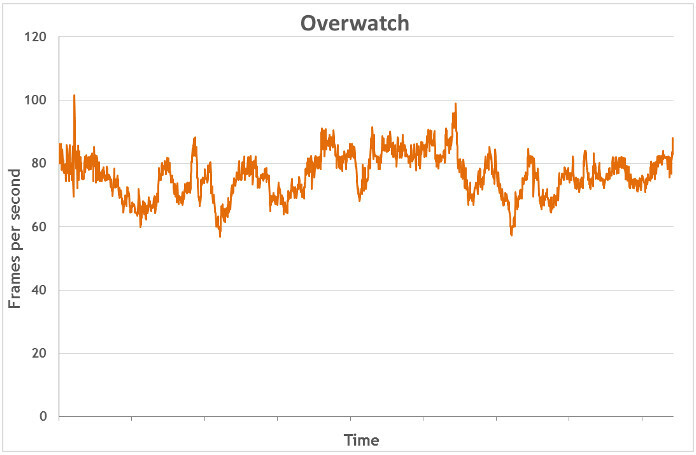 At 1080p with the settings on high, Overwatch was incredibly smooth, exceeding 60 FPS pretty reliably throughout testing. Fraps registered the occasional dips, but none so drastic or sharp that that I noticed while playing. Arkham Knight is dark but detailed, and the persistent storm introduces a rainbow of colors, reflecting light from storefronts and street lamps as you race around the streets of Gotham. At 1080p with the settings on high, frame rates varied quite a bit, especially when comparing indoor and outdoor settings. But even outside in the rain, smoke, and big city lights, gameplay was smooth. Frame rates were fairly consistently 50 FPS or higher, and any dips melted into the night as I hopped from building to building and zoomed around in the Batmobile. With its desktop-grade CPU and discrete graphics, the ZenBook Pro can handle almost anything you throw at it, and it’s built for productivity as much as it is for performance. The keyboard spans almost the entire width of the laptop and features 1.5 mm of travel, almost triple that of the MacBook Pro. Feedback from the keys is soft, and noise is minimal, so heavy typists don’t need to worry about attracting glares from coworkers or fellow passengers on the red-eye home. 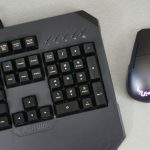 An extra column adds convenient home, page up, page down, and end keys along with a right function key, all without displacing the backspace from its rightful spot above return. The white backlight matches the silver trim while keeping nighttime work sessions error free. 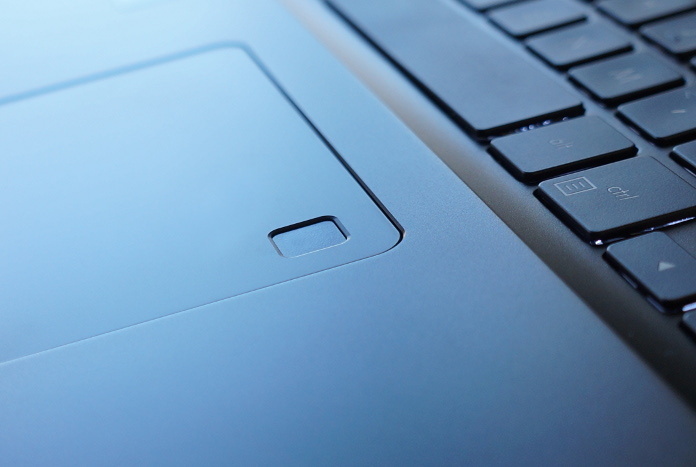 Right below the keyboard is a large trackpad with multi-gesture support. An embedded fingerprint reader supports Windows Hello for added security when you’re traveling or just leaving the office to grab lunch. All of your applications and files are stored on a 512GB NVMe SSD. Any SSD will give you improved boot and load times compared to a traditional HDD, but not all SSDs are created equal. Rest assured, the performance of the NVMe drive purring away inside the ZenBook Pro exceeds that of your typical SATA SSD. A CrystalDiskMark test run on the sample unit I’ve been using for the last few weeks returned sequential read and write speeds of 3329MB/s and 1525MB/s, respectively, several times the speed of SATA drives. 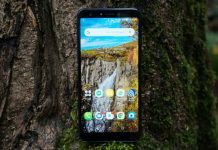 If capacity is an issue (understandable, given today’s games can run quite large and multimedia files aren’t exactly small), you can unscrew the back of the UX550 and upgrade the storage yourself, no prying tools required. 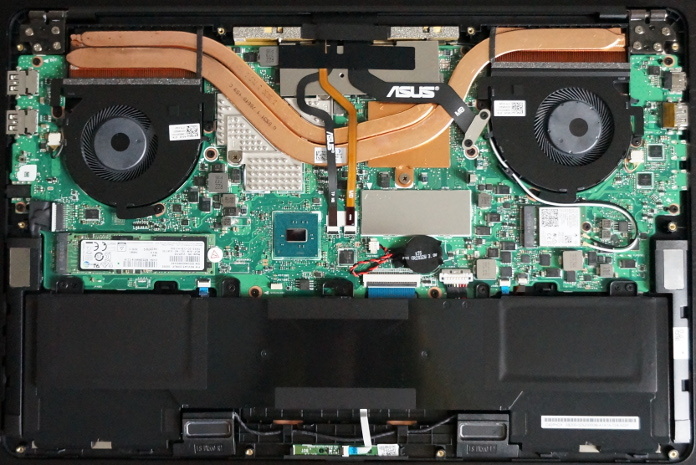 Just 10 T5 screws stand between you and a lovely view of the ZenBook Pro’s guts. The aluminum back pops off with ease, and the SSD is in plain sight, so you don’t have to remove any other components to get at it. Note that this will void your warranty, so proceed with caution. 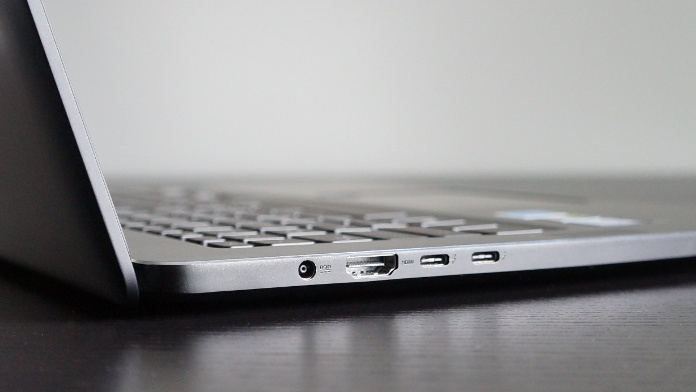 Connectivity is another casualty of the trend toward thinner, more compact machines; many ultrabooks rely on hubs or dongles to expand beyond a couple of USB Type-C port. Despite its slim 18-mm profile, the UX550 doesn’t skimp. 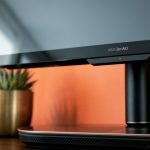 It has two Thunderbolt-enabled USB Type-C ports that allow for dual 4K video out, and there’s also a regular HDMI port, so you won’t be stuck looking for an adapter if you want to connect to a projector, TV, or monitor. In addition to reversible Type-C, the Pro has two old school Type-A ports for thumb drives and peripherals, along with a MicroSD slot for transferring photos from your phone. An audio combo jack is also present and accounted for, just in case you’d rather keep your office gaming on the DL. The UX550 is rated to run for up to 14 hours off the charger, but if you’re hoping to play games while you’re out and about, you’ll need to bring it along. More demanding applications that load up the CPU or GPU, like video encoding or rendering, also eat into your battery life. With HD video streaming over WiFi, we got through more than half a day during our battery tests. And we didn’t have any issues lasting the whole work day with productivity and browser-based workloads. With the fast-charging adapter, we got back up to 60% after just 49 minutes. Regardless of what a normal day looks like for your ZenBook Pro, you won’t have to set up camp next to an outlet or cross your fingers for AC power on the flight home. Given how often a laptop’s peformance is used to justify additional size or heft, you’d be forgiven for thinking that true portability and power can’t possibly appear in the same package. 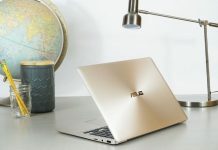 But the ZenBook Pro UX550 shows that a ‘do anything’ notebook capable of handling heavy workloads during the day, and movies or gaming at night, can be as thin and elegant as any ultrabook. The Core i7-7700HQ and GeForce GTX 1050 Ti ensure you’re never short on the power you need for work or play, while the sleek metal chassis and compact design are just as at home in your briefcase or backpack. Perfect for creative professionals and gamers alike, the ZenBook Pro is priced at $1,699 USD or $2,299 CAD. 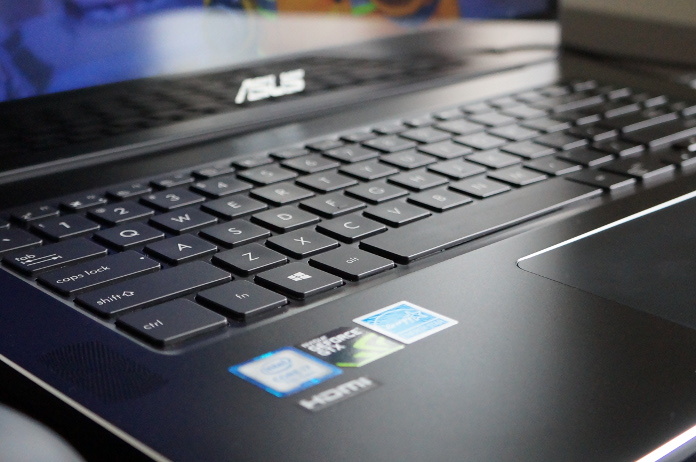 Check the table above for retailers stocking the most powerful member of the ZenBook family.